Take a walk through history in the footsteps of Cornish Smugglers and the Customs men who pursued them. Five dramatic days of world-class coastal trail link secluded smuggling coves to wooded creeks. Explore wildlife-rich estuaries and encounter unspoilt golden beaches, dramatic cliffs and wild headlands. 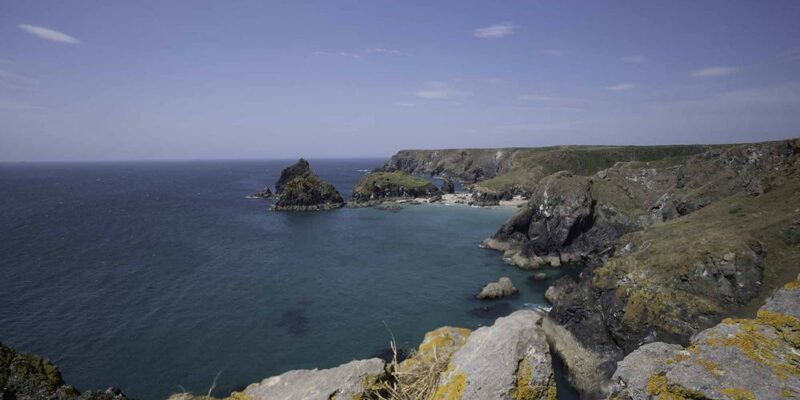 Follow the stunning Cornish coastline in the footsteps of smugglers on five dramatic days of world class coastal walking from secluded smuggling coves to secretive wooded creeks. By night, live like smugglers, staying in a run of five atmospheric and vibrant fishing harbours – each one with its own legends and history and the widest choice of restaurants and facilities of any of the walking routes in Cornwall. Mix your walking with sightseeing on the Smugglers Trail, which allows you to build in optional rest days to walk straight into the best attractions of the region such as: The Eden Project, Lanhydrock Estate and The Lost Gardens of Heligan as you create your own journey through time along the historic, unspoilt South Cornwall coastline. 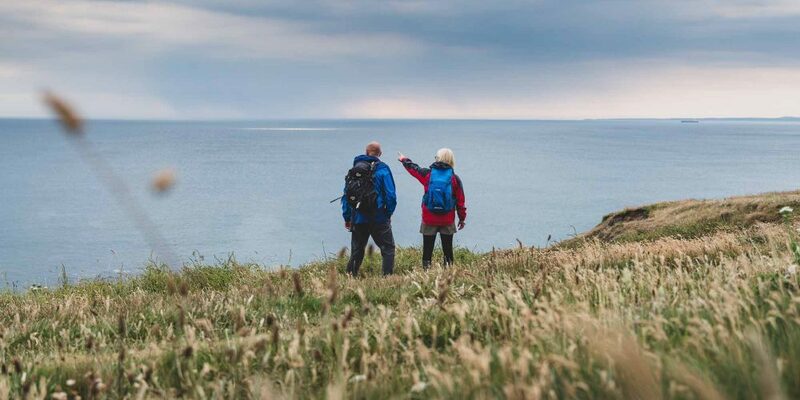 This itinerary has been created by Encounter Walking Holidays – the largest and most experienced operator on the South West Coast Path, who are based in Lostwithiel – just five miles from the path itself. Full luggage transfers, accommodation booking, day-by-day itinerary document and support for the walk – including an out of hours emergency contact number are all included. Advice and help with arranging parking and public transport to and from the trail are also provided. 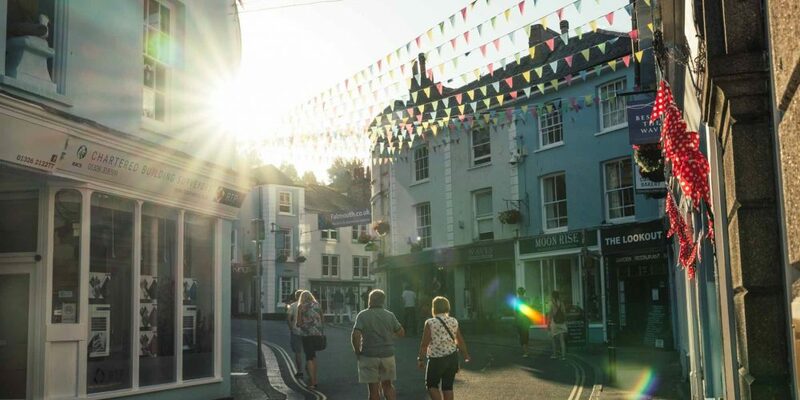 Starting from the bustling harbour of Falmouth, this itinerary crosses the estuary to the Roseland Peninsula, heading east through a string of intimate fishing villages and exploring secluded inlets on the sub-tropical, wildlife-rich south coast of Cornwall to the old fishing port of Looe. 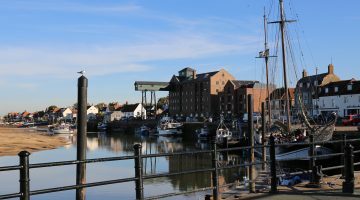 As you would expect in an area steeped in the history of smuggling, there are plenty of atmospheric inns and pubs on this route – most of which are in stunning positions in the coves and harbours. Encounter Walking Holidays offer basic B&B and Inn accommodation for the walk as standard, with upgrade options to suit individual tastes and budgets. Preview the accommodation online before booking to make the right choice for your walk. As well as standard B&B, there are several luxury hotel options, boutique style B&B and historic inns. All our accommodation is right on or very close to the path. Ensuite rooms available in all locations. This is an easy access ‘Rail to Trail’ Holiday. Walkers normally train in and train out without any need for buses or transfers. Scheduled flights into the airport at Newquay then 1 hour transfer by road to and from the path. Ferries to Plymouth from Roscoff in France – less than 20 miles from the end of the trail in Looe if driving and on the same train network as Looe and Falmouth. Cars can be parked in Falmouth and return by train from Looe by train (around 3 hours). 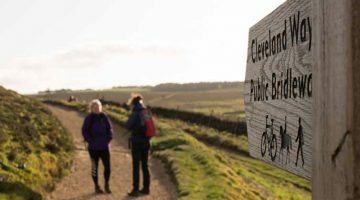 This walk is suitable for all ages with a reasonable level of fitness with a minimum of four hours walking a day. 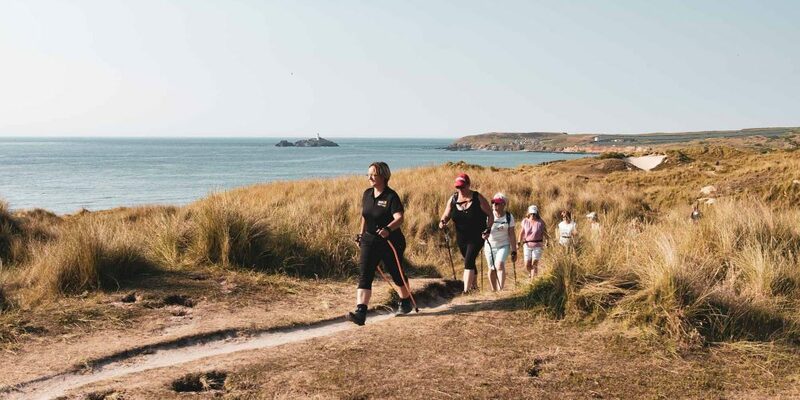 More experienced walkers will find plenty of challenges and long days in the five-day route from Falmouth, with a good mix of moderate to strenuous walking, much of the time in remote areas which do not see large numbers of tourists. The usual walking season is late March until the end of October, but with good public transport options on the trail and the benign southern coast climate, this route is one of the few that can be walked at any time of year. One of the unique aspects of this section is the ‘Apres-Walk’ options in the evenings after a day on the trail. The lively fishing ports offer better facilities and more dining options than other sections. 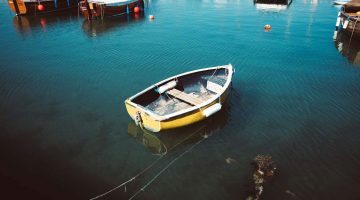 Portloe, Mevagissey, Fowey, Polperro and Looe all have their own fishing boats, so fresh seafood straight from the quay is available everywhere. Local Real Ale and Cider is produced in several micro-breweries and orchards in the area, which is the most fertile area for agriculture on the Cornish Coast. As a result, most of the restaurants on this route make good use of readily available locally sourced produce in their dishes.